OC Weekly: OC Movers and Shakers: Eggslice Pop Up Coming To OC Mix! 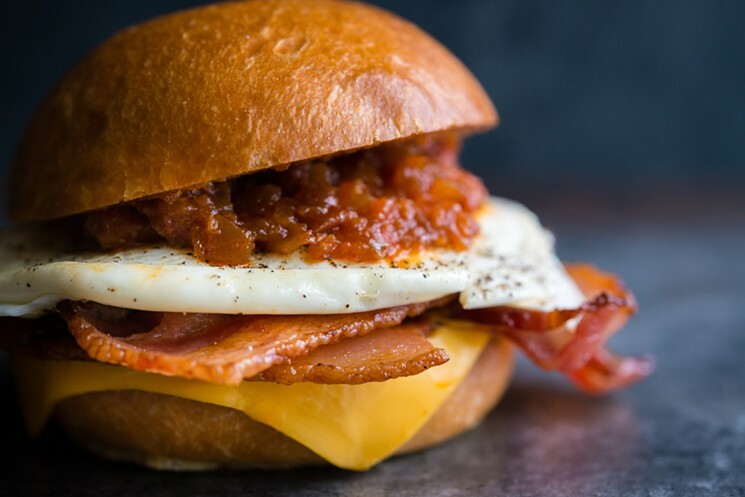 It’s no secret that breakfast is this writer’s favorite meal of the day, but one of the best kept secrets this year may have been right next door to Costa Mesa’s Sidecar Doughnuts. A brekkie-only concept, Eggslice found a temporary home weekends inside PIE-NOT. With handheld delights of sausage, bacon and even chicken schnitzel, it was hard to resist this ideal morning. We were sad to see them end their run last month, and begged founder Bill McMullan to keep us in the loop for future hunger pangs. 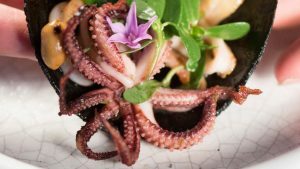 Here’s something I think we can all agree on: Orange County has better Mexican food than anywhere else in California. And I firmly believe we have in Taco Maria the single best Mexican restaurant in the United States, and the chef who tilts the scales heavily in our favor. But we also have some of the best old-fashioned, family-operated California-style Mexican restaurants in the state. 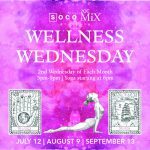 Wellness Wednesday, Storytime, Designer Camp and more at SOCO and The OC Mix! Have kombucha tastings and talks at Farm & Culture Co from 5-9pm. The event is free, but please RSVP by clicking here. Designer Camp OC at SOCO! OC Designer Camp 101 is taking place for the first time at SOCO from July 24 – 28 / 9am – 3pm. Your teen can explore the vast careers in the design industry by implementing the principles and elements of design. 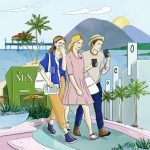 Students explore the design world covering Art, Branding, Fashion, Interior Design, Photography, Styling, Trend Forecasting and much more. Spots are still available and booking up fast – sign up and learn more here. Singer and story-teller, Christa Mae and the teaching artists of the Chuck Jones Center for Creativity have teamed up to bring you “Storytime”, an hour of song, story, and coordinated art projects for pre-schoolers and their mothers and fathers. Sign up for Monday July 24 by clicking here. 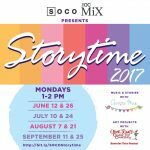 You’re invited to Live Music Mondays at SOCO and The OC Mix! 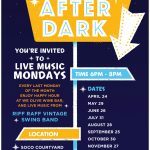 Join us the last Monday of the month (July 31) to enjoy happy hour at We Olive Wine Bar and Greenleaf Gourmet Chopshop – and live music in the SOCO Courtyard from the Riff Raff Vintage Swing Band. No RSVP necessary.